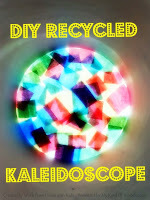 #DIY #Recycled Kaleidoscope - Quick, Simple and tons of Fun! I'll have a page set up soon! I loved you soo much that I blogged about you!! 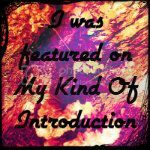 Welcome to our 4th Guest Post, here at My Kind Of Introduction! Throughout the month of June, I've had the pleasure of working with some really great bloggers, not to mention that our 1st guest was one of you... a fan of My Kind Of Introduction!! So far, 3 guest articles have been shared since I began my search near the end of May and I couldn't be happier with the wonderful content that these ladies have created! I hope your enjoying the Guest Articles/Posts as much as I am! I have to admit that, I truly believe the Guest Post idea was one of the best blog decisions that I've made so far this year and I'm just getting started!! I have an awesome kids craft to share with you this week from Heather at 'Work from Home With Kids'. I'm also working with a couple other ladies who are planning their own Guest Posts to share with you soon! Today, I'm lucky enough to be able to bring you a nifty little Recycled Craft that I'm sure any child would love. 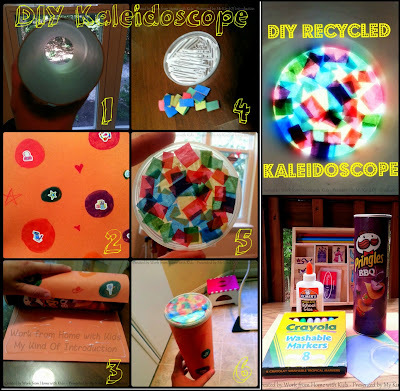 Heather from Work from Home With Kids has created a simple DIY Kaleidoscope and is willing to share her creation with all of you! This is a great activity that extends past creation. 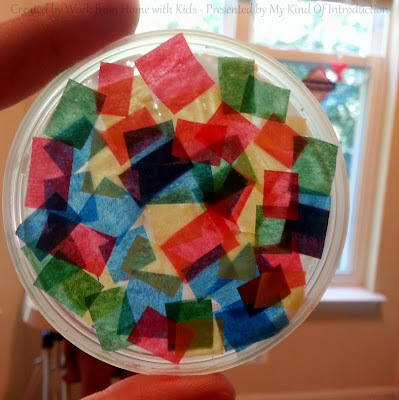 After the Kaleidoscope(s) have dried, send your kids outside to enjoy the beautiful designs they have made! Use the simple directions below to create your very own Kaleidoscope! Who doesn't enjoy turning old trash into new treasure?! 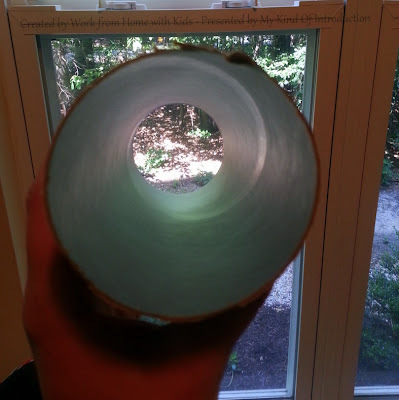 Cut off the metal bottom of your Pringles can -- This will be where you look into your kaleidoscope. Cut up your tissue paper into small pieces. Cover the inside of the lid with glue, and start creating your design using the tissue paper! Snap on your lid and enjoy your beautiful design! Your Kaleidoscope is complete! All that's left to do is to start playing!! HAVE FUN and ENJOY your colorful new toy!! 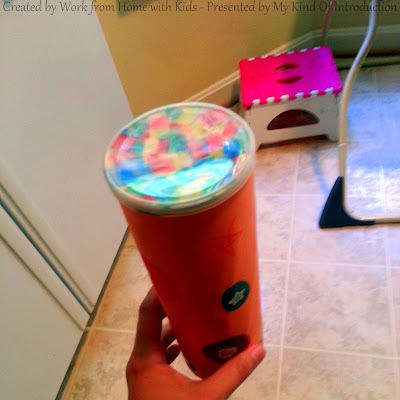 Collect lids and make a variety of interchangeable designs! 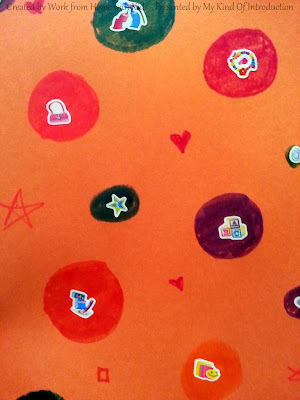 Try different shapes and designs with the tissue paper... Do your designs designs look similar or completely different? Did you enjoy learning how to create your very own Kaleidoscope with the kids? Share your thoughts with us below by dropping a comment off below!! We all enjoy good feedback every now and then, don't you agree? Don't forget to visit 'Work from Home with Kids' via the links below and show Heather some love! Getting to know the Author -- Visit Heather today!A WAHM of two precious little girls who blogs over at "Work from Home with Kids". 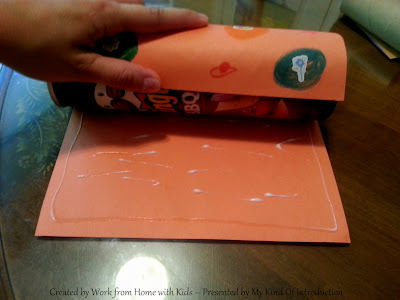 Providing work from home ideas, kids activities and yummy meal ideas! Pin the photo below, on Pinterest, and share this colorful craft with a friend or two!! 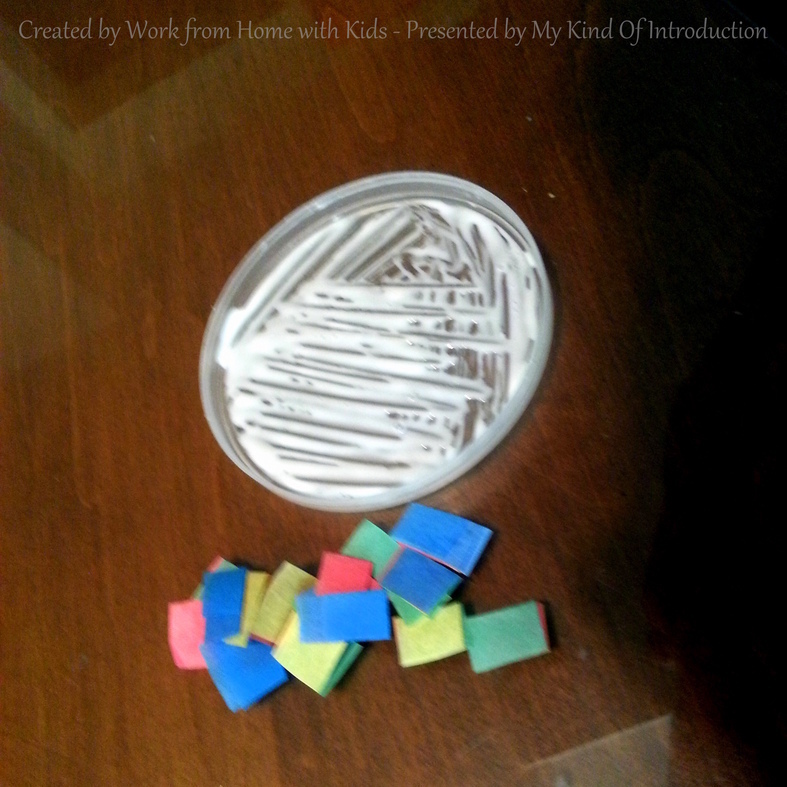 All original photos belong to the author (Work from Home with Kids) and may have been slightly edited to better fit this blog, My Kind Of Introduction. Autumn, thank you so much for having me as a guest on your blog. You did a fantastic job and I look forward to working with you again!